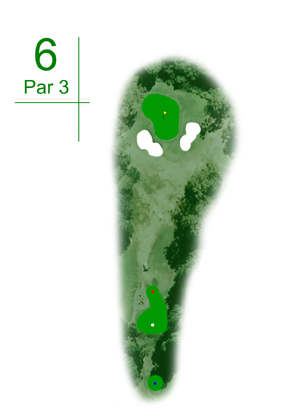 A deceptive par 3 that plays longer than its length. Looks shorter and you cannot feel the wind on the tee. Take one more club when deciding which club to hit.